We are starting 2015 with a fabulous Guest Creative Guide - Karen Garrard. 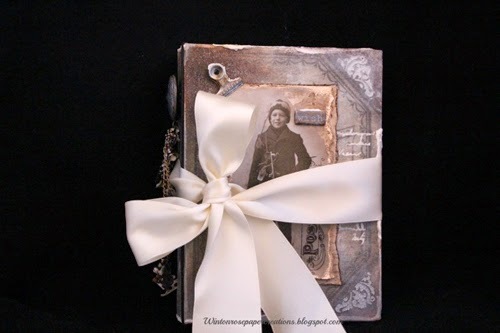 Karen 'lives' at Winton Rose Paper Creations and is a lover of all things vintage and the Tim Holtz style. 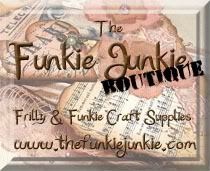 She creates some of the most amazing projects and her blog posts are so full of the details of her creations. If you haven't seen Karen's work I thoroughly recommend you pop over and take a look. Hello every-one, Karen here. 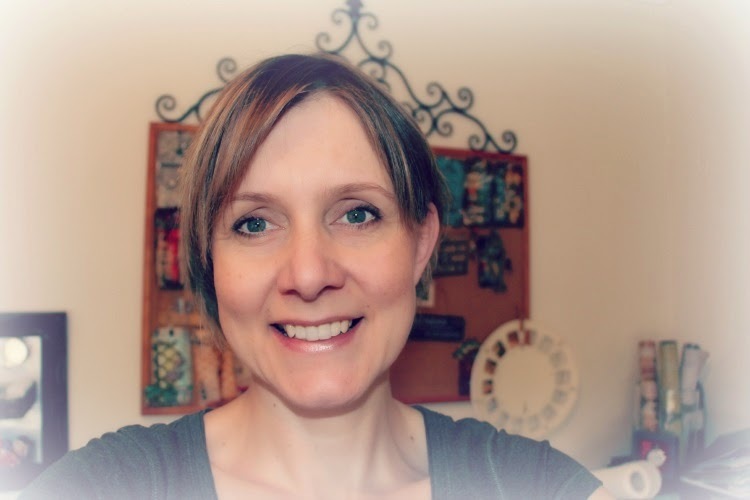 I am so pleased to be your Guest Creative Guide today. 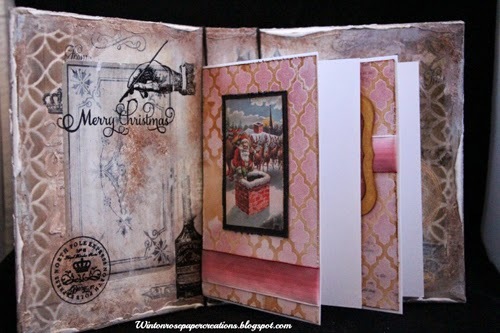 This challenge is hosted by the very talented Brenda ‘Ring out the old, ring in the new’. In the description it says to focus on the key words in the poem ..old, new, bells, snow, year etc. I have decided to create a Christmas card album from one of Tim’s worn covers. Each year another Christmas finishes and another new batch of cards is created. You will see I have focused on lots of snow and bells. This is my interpretation of out with the old in with the new. 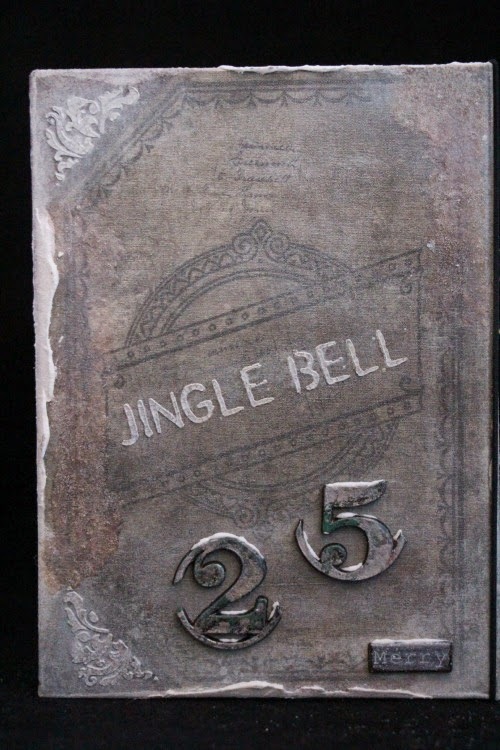 My Tim influence was to use one of my favourite techniques of his being the Layering Stencil: Embossing which I have used on the inside cover and on my Christmas cards. I have also used another technique 'Altered Surfaces' on the numerals you can find the back cover. Of course any excuse for me to alter a piece to make it look really old, I am there, and as you know Tim is a master at this. You can find both of these techniques in Compendium of Curiosities 3. I live in Australia and have been paper crafting as long as I can remember. I do find myself sneaking of to my studio at least every second day, Yey! I really enjoy entering challenges as it encourages me to think outside the box and try new techniques like some of Tim’s that I now use over and over again. This year I purchased Tim’s Creative Chemistry 101 & 102 and I have to say they are so full of interesting information. Even though I am yet to complete 102 I can highly recommend it to anyone. 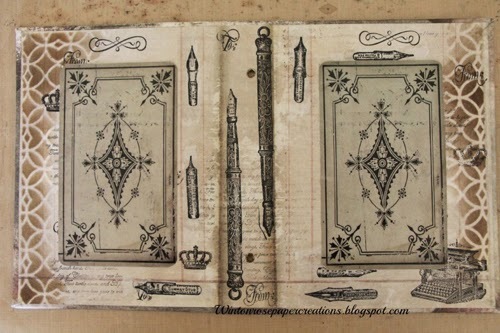 I have also purchased all 3 of the Compendium of Curiosities too so I have a wealth of information at my fingertips. One would think with all the Tim items I have been purchasing I would be happy but no I’m just like most of you out there and I too have to have most his products. I am in a wonderful place right now in my studio with all the amazing tools available. I hope you enjoy my creation for today. For more photos you can visit me at wintonrosepapercreations.blogspot.com. On my front cover I have used Tim’s Found Relative. I have heat embossed some gold embossing powder around the torn edges. I have added a metal clip which I have added alcohol ink and glitter snow. Behind the found relative I have added another piece of cardstock that has been stamped onto and had the edges torn and inked. Finally I have added a wide cream ribbon for my closure. I have used the back off some of the found relative images. I think they are way to pretty to hide, so I gently removed some to use on the inside of this piece. 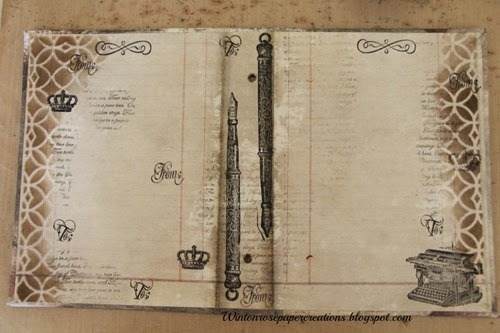 The remaining image will be quite thin of course so you may want to add some cardstock behind them for your next project. Here is the inside cover. I have used Tim’s Layering Stencil: Embossing technique with Walnut Stain Distress Ink. Previous to this I have added some text rolling the stamp onto my piece. Then I have added some more stamping from various stamp sets. Now you can see I have added the back pieces from the found relatives. I have also added some more stamping of pen nibs with black archival ink. Here I have added some heat embossing black and gold embossing powders. I have also added Aleene’s Glitter snow around the edges and black elastic to hold the cards. Here I have added the last of my Christmas cards. There would have been heaps more but they had been posted out. Here on the spine I have used a metal button I found at a bead shop. To this I have added metal chain at different lengths with my charms. I have also used Alcohol inks to colour the charms, then added Aleene’s Glitter Snow. The metal button has been attached using pop up foam with E6000. The back of the folder. I have used stencils with texture paste. Again, Aleene’s Glitter Snow. The numerals have had Tim’s Altered Surface Technique applied to them. Thank you Karen not only for your kind words but this wonderful altered worn cover, it's a fantastic example of the wonderful things you create and I'm so pleased you made it just for us at AVJ. I am sure gonna take note of that tip about removing the backs of the found relatives, I agree I think it's a shame to cover them up and stick them to the project so they can't be seen. Thanks again and I am looking forward to seeing what else you make as we start the new year. There are still a few more days to enter our challenge for the new year - don't forget 'Ring out the old, Ring in the new' - what have you made that has a Tim Holtz link and would fit in with the theme? Have a wonderful week and see you Friday with another new challenge. A huge welcome to you Karen as our Guest Creative Guide today! what a wonderful Christmas cover you have created to inspire us! 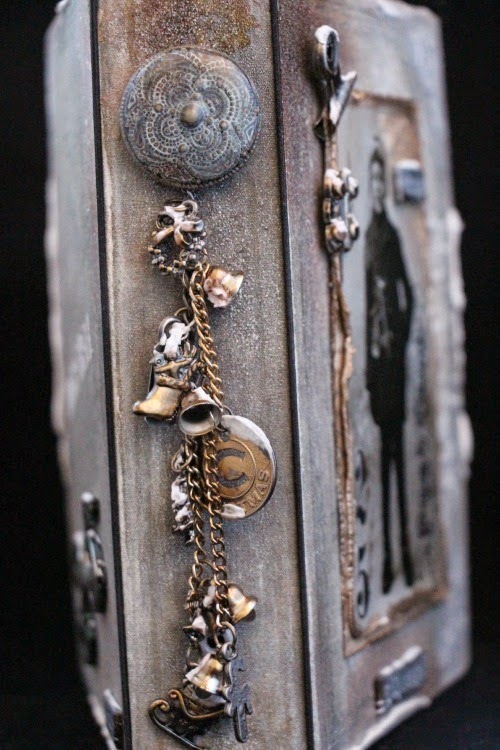 Love all the charms hanging from the binding, the beautiful stampings inside and that luscious bow tied around it! 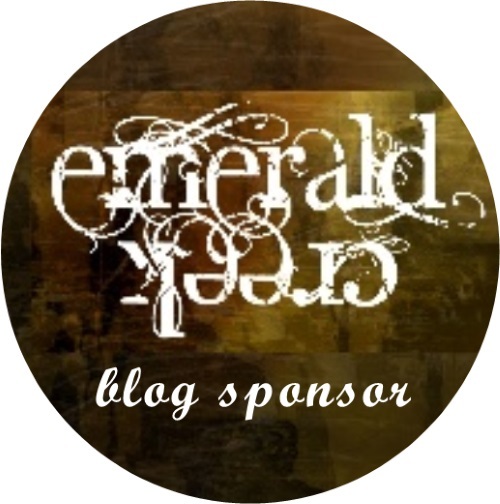 I have visited your blog often and always find such creative inspiration there! Karen, I'm a huge fan of your work, and this worn cover is no exception! Fabulous cover with all the Tim techniques so finely executed! I love those charms! Great idea to use both sides of the Found Relatives! I like the way you think! Congratulations on your Guest Creative Guide spot--they could not have chosen a finer Vintage artist! What an utterly beautiful creation from Karen (unsurprisingly - all her work is amazing!). 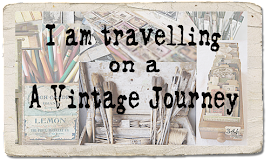 A fabulous piece of inspiration to add the to the journey - thanks Karen! A stunning creation from Karen! Wonderful to see you here Karen! Your work is always amazing and so full of detail, and this is now exception!! A fantastic idea, beautifully executed!! Karen, your projects are always filled with wonderful detail for us all to feast our eyes on and this is no exception. Stunning. TFS as Guest Creative Guide today and I must remember your tip on separating the layers on the Found Relative cards. Always love your artistic work, Karen! This is a gorgeous project to share with us and great inspiration to start 2015! So happy to see you here! I found you through google and am now following Karen - amazing work !!! 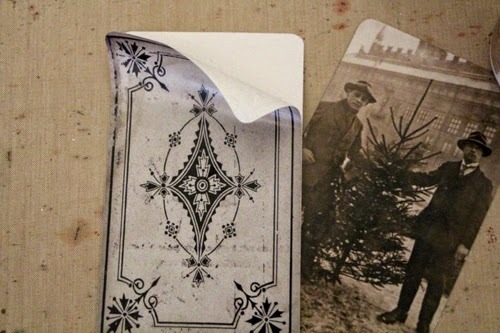 What a beautiful project and brilliant idea to peel off and use the backs of the found relatives cards! Thanks so much for sharing.